EDMONTON - The Alberta government introduced a bill Tuesday that will allow it to place a cap on regulated electricity rates for the next four years. The move to cap consumer power rates at a maximum of 6.8 cents per kilowatt-hour for four years was announced in November 2016 by Premier Rachel Notley. The cap is intended to protect consumers from price fluctuations from June 1, 2017, to May 31, 2021, as the province moves from a deregulated to a capacity power market. The price ceiling will apply to people with a regulated rate option. If the RRO is below 6.8 cents, they will still pay the lower rate. The government isn't forecasting price fluctuations above 6.8 cents in this four-year period. If the price goes above that amount, funding would come from the carbon tax. "We're taking a number of steps to keep prices low," said Energy Minister Marg McCuaig-Boyd. "But in the event that prices were to spike, the cap would automatically prevent the energy rate from going over 6.8 cents to give Albertans even more peace of mind." 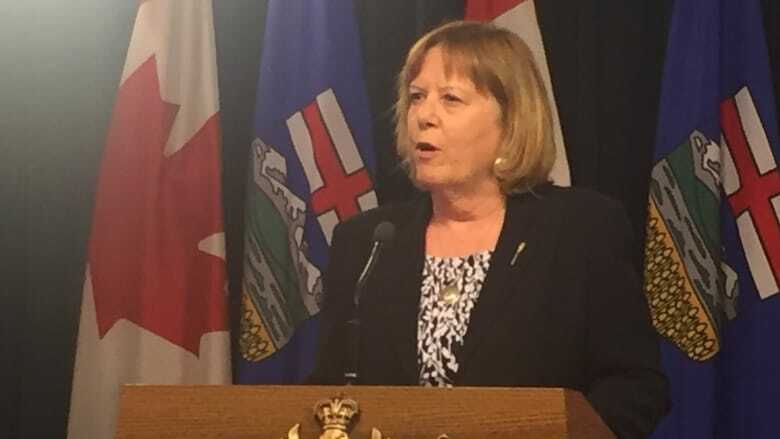 McCuaig-Boyd said this would be an appropriate use for the carbon tax as the cap helps Albertans move to a greener energy system that doesn't rely as much on coal-fired electricity. The government estimates the program will cost $10 million a month for each cent the rate goes above 6.8 cents per kilowatt-hour. If rates remain below that amount, the program may not cost anything. Wildrose electricity and renewables critic Don MacInytre said the move shows the government expects retail electricity rates will double over the next four years. MacIntyre argued a rate cap simply shifts increasing electricity costs away from consumers to the Alberta government. But ultimately everyone pays. "It's simply a shift of a burden from the ratepayer to the taxpayer, which is essentially the same person," he said. The City of Medicine Hat runs its own electrical system without a regulated rate option. The government will talk with the city to see if it is interested in taking part in the price cap protection. About 60 per cent of eligible Albertans or one million households use the regulated rate option in their electricity contracts. The current regulated rate option averages less than three cents per kilowatt-hour.